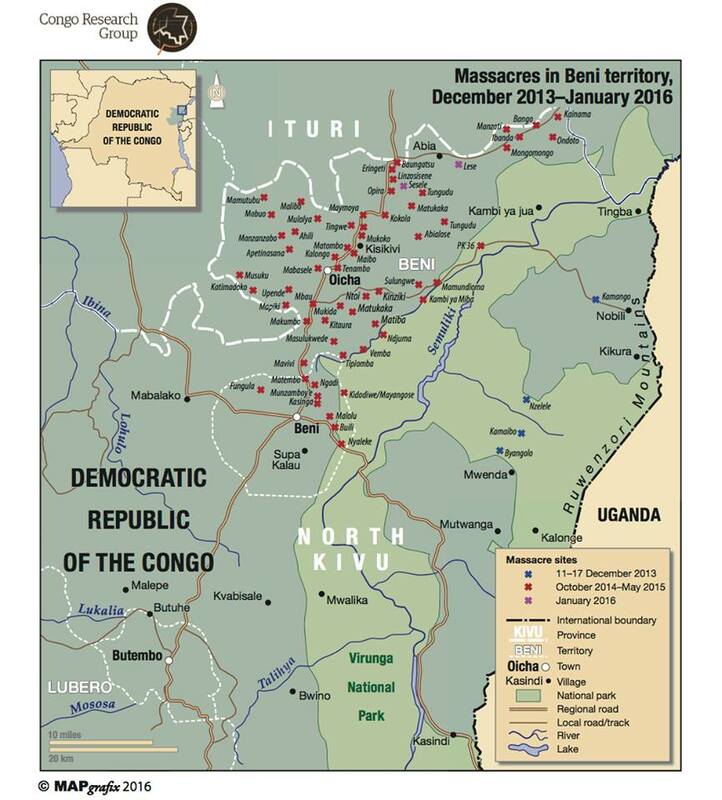 Massacres in Beni Territory, North Kivu Province, DRC, OCTOBER 2014-JANUARY 2016. Certainly looks like the perpetrators were moving east to west, deeper into DRC from the Ugandan border. Not west to east, from DRC toward Uganda, as the ADF might have been if the ADF story made any sense whatsoever. If anyone has a 2017 map, please share.